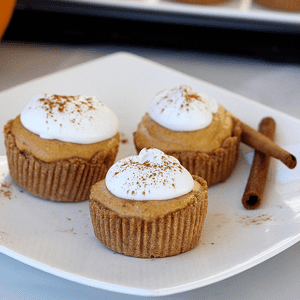 These pumpkin pie tarts are quite simple to make (although it may seem like a lot of steps when you read the recipe) and they will knock the socks off any pumpkin lover. 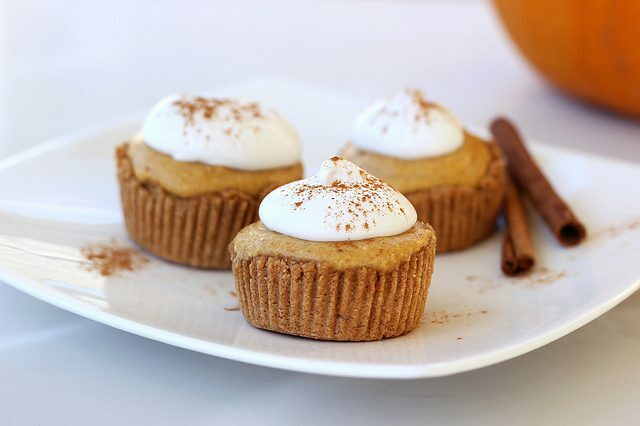 The crust is entirely grain-free made with almond flour and it has a hint of spices that make the house smell so lovely when they are baking. The pie filling is creamy and rich but without any dairy. 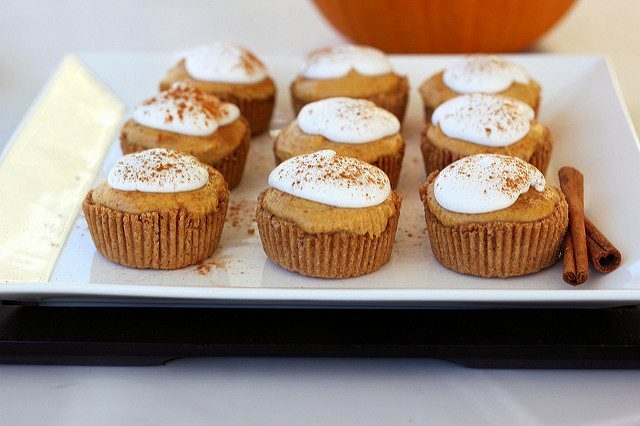 Top these treats off with a little whipped coconut cream to round out the flavors perfectly.